Philadelphia’s Magic Gardens is what I would describe as a unique and bohemian find in the midst of a modern city. 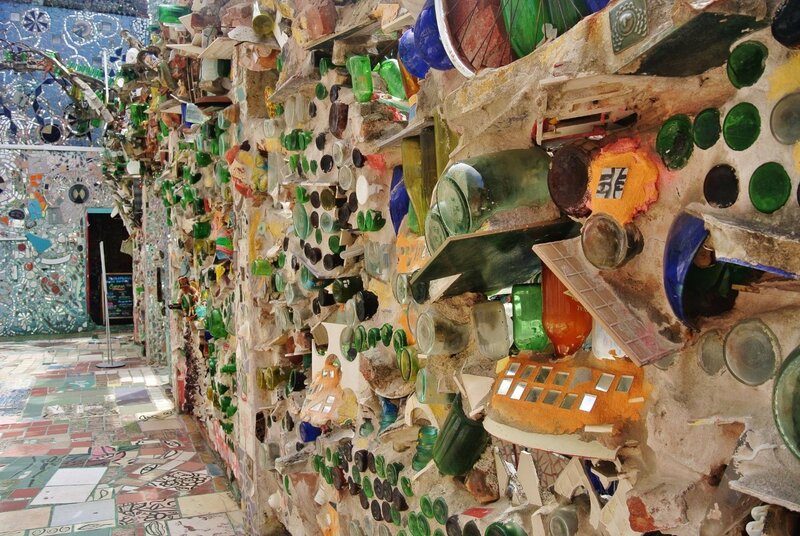 It is a non-profit organization and gallery space built by a local mosaic artist, Isaiah Zagar. Zagar has devoted himself in beautifying the South Street of Philadelphia with his mosaic murals. He began working on Philadelphia’s Magic Gardens in a vacant lot near his studio in 1994 by excavating tunnels and grottos, creating multi-layered walls and tiling the whole space. In 2002, the owner of the vacant lot decided to sell the land and with the support and help of Philadelphia community to preserve the works of art of Zagar, they have united to establish a non-profit organization to purchase and maintain its grounds. 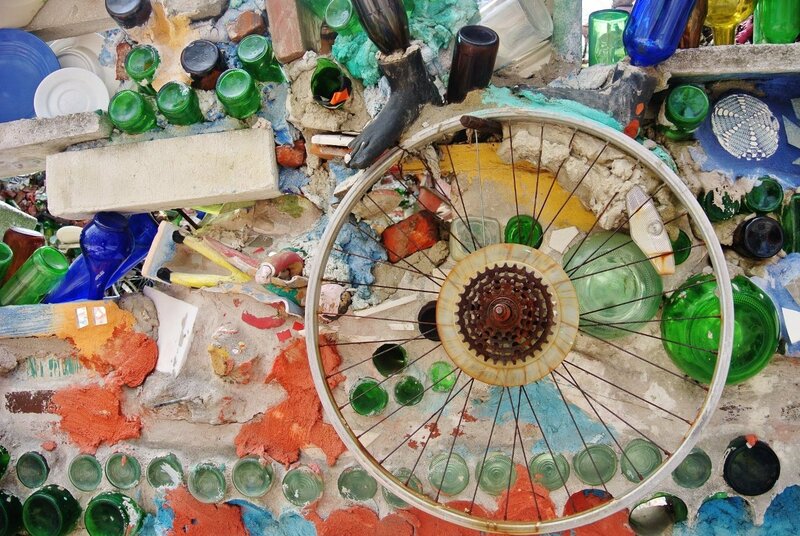 Philadelphia’s Magic Gardens is now a permanent art institution which is open to public throughout the year. It is a must-see destination in the city, it’s quite amazing if you think that you’ve seen the original art space of a modern-day renaissance artist. It was a magical place full of creativity, color and madness. The mosaics and art installations are made up of everyday things such as bicycle wheels, plates, broken bottles, tiles and ceramics. Things which one would normally consider as junk are what makes this place extremely special. I have not seen such beauty out of a trash until I visited this site. The whole visit was great and even though I am not really into art, it did pique my interest. It would’ve been better if the attendants at the entrance were are little bit more friendly. I found them quite rude specially when we were already on our way out. Nevertheless, it’s a must see if you ever find yourself in Philadelphia. Entrance fee is USD7 per person. There is a street parking available in the area, we paid USD3 for a 45-minute parking. 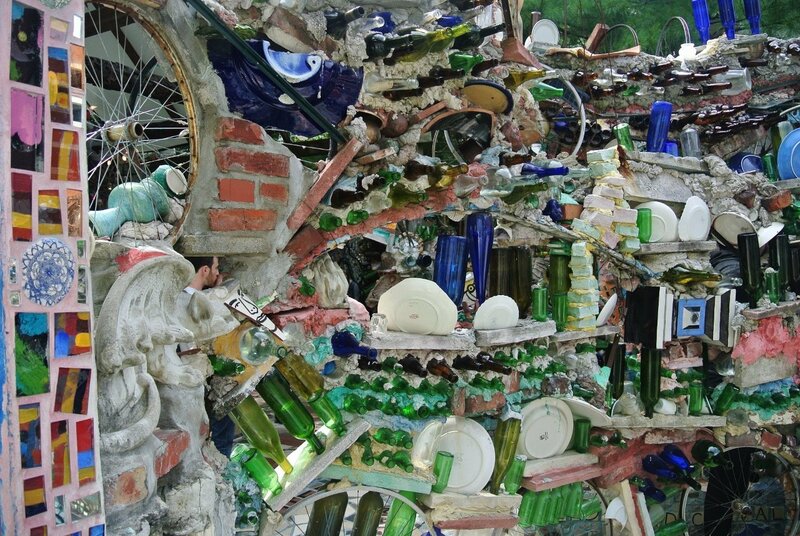 Click here for more photos of Philadelphia’s Magic Gardens. This post is a part of Friday Postcards Link-up. What an interesting place. I like that there’s so much going on in each photo and that junk is being transformed into art. I really had to look closely to see the little details, like the words on the tiles. Frequently Asked Questions About Schengen Visa Application.